Our efforts on public lands—mostly held in trust by the Bureau of Land Management, US Forest Service and various state agencies—also address issues of appropriate uses such as roads, pipelines, and mining. We are currently monitoring, field checking, and litigating reckless logging proposals in older forest timber sales in places like Oregon’s Willamette National Forest, Umpqua National Forest and various western Oregon Bureau of Land Management Districts. Cascadia Wildlands works across Cascadia to forward sustainable forest policies and practices as well as make sure Cascadia’s human inhabitants and visitors continue to have access to wilderness-level experiences. We take a multi-pronged approach to this work, utilizing the public process, policy, on the ground fact checking and strategic litigation. Learn about our tactics for change for more information about how we work to defend Cascadia’s forests. Forests provide a myriad of what are called “ecosystem services” or benefits that accrue to all of us by the very existence of forests. Some of these services include water quality and erosion control as well as the ability of our Pacific Northwest temperate forests to capture and hold carbon dioxide. This latter ability is important as we look for ways to mitigation both climate change and ocean acidification. Well managed forests can also provide much-needed wildlife habitat, quality recreational experiences, and sustainable jobs. Cascadia Wildlands fully understands that responsible forest management involves an appropriate balance between these three factors. From time to time, federal and state agencies undertake policy initiatives that ultimately impact large expanses of agency holdings for long periods of time. The consequences of these activities can be greatly beneficial such as the creation of the refuge system or massively damaging like so-called “salvage logging” proposals after wildfire. Unfortunately, economic conditions including joblessness and the need to generate revenues are currently being used as rationales for ill-advised and unsustainable policies. Cascadia Wildlands is fully engaged in making sure that common-sense and vision are not abandoned in this head-long rush to accelerate exploitation of our forest heritage instead of taking key actions that will insure solvency for fiscally challenged counties, promote quality educational opportunities, and protect natural values. In this vein, Cascadia Wildlands is currently working to find a creative management solution for the 93,000-acre Elliott State Forest in the Oregon Coast Range. 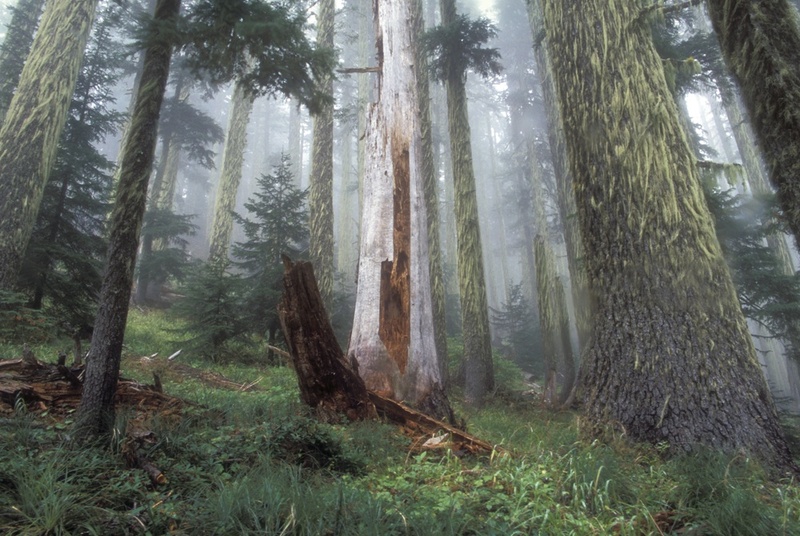 For nearly 50 years, this iconic forest has been clearcut to fund K-12 education in Oregon. A Wilderness designation is the utmost protection Congress can afford an area on federal public land. Simply put, it is a place where mechanization is not allowed and a place where wild nature is left alone for its own intrinsic value. Cascadia Wildlands believes that all Americans deserve access to wilderness. Therefore, as our human population increases and wildlife habitat on private lands becomes more degraded, we will need more wildernesses to maintain a consistent level and quality of access. We are currently working on a number of Wilderness campaigns in Oregon, including the proposed newly designated Devil’s Staircase Wilderness in the Oregon Coast Range, and Wild Rogue Wilderness in the Siskiyou Mountains. Goose Timber Sale is Back!